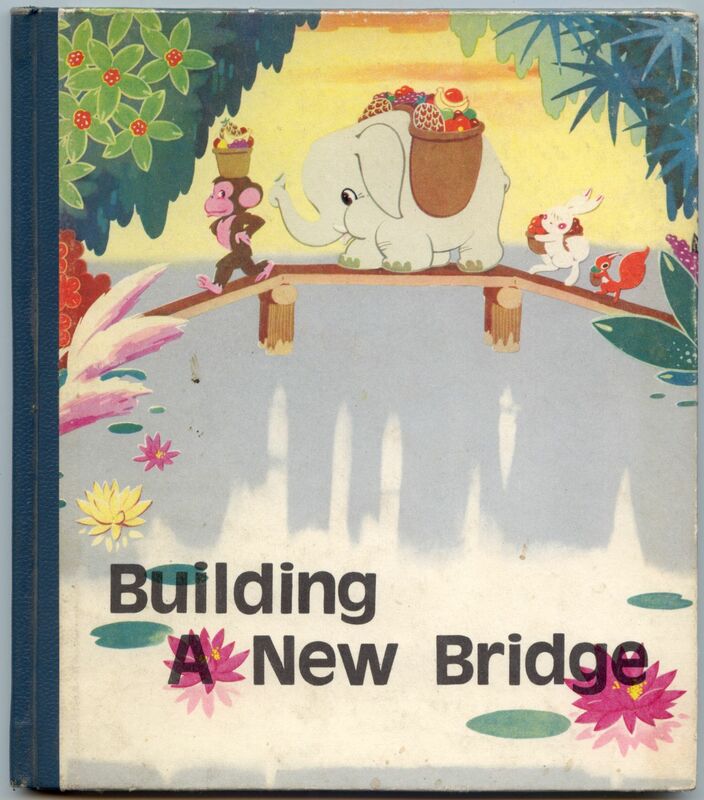 This is a nice book of illustrations that accompany a children's story about using cooperation to build a new bridge. 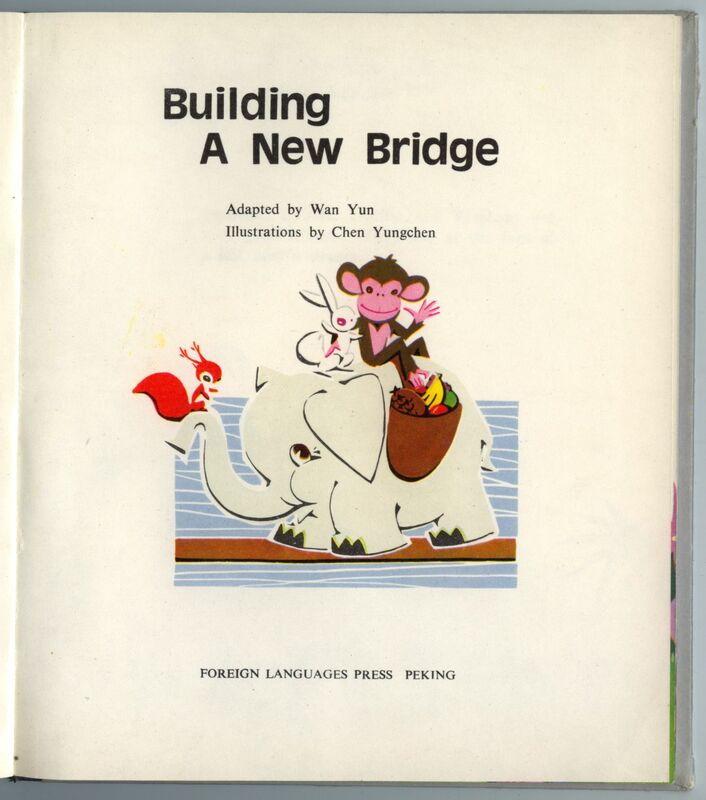 This is a hardcover book with 37 pages of illustrations. 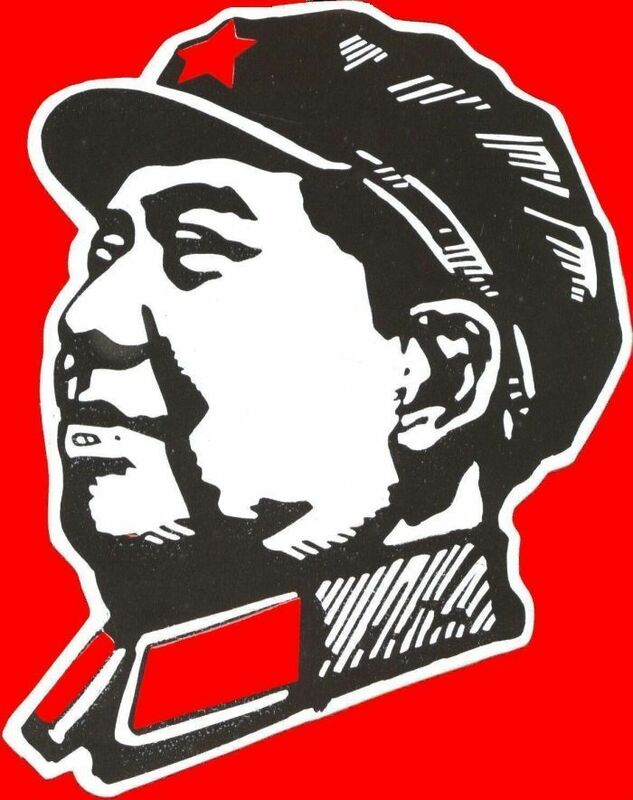 The book was printed by the Foreign Language Press in Beijing in 1979. It measures 17cm (6.7 inches) x 19cm (7.5 inches).